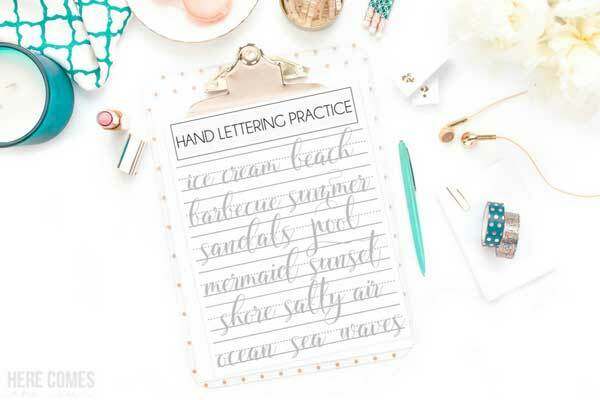 Use these summer themed hand lettering practice sheets to get started in hand lettering or to brush up on your skills. I love creating hand lettering practice sheets. So many of my readers are interested in hand lettering and I want to show you that it is not as hard as it looks. I have several hand lettering practice sheets on the blog including a back to school theme, halloween theme and a spring theme. 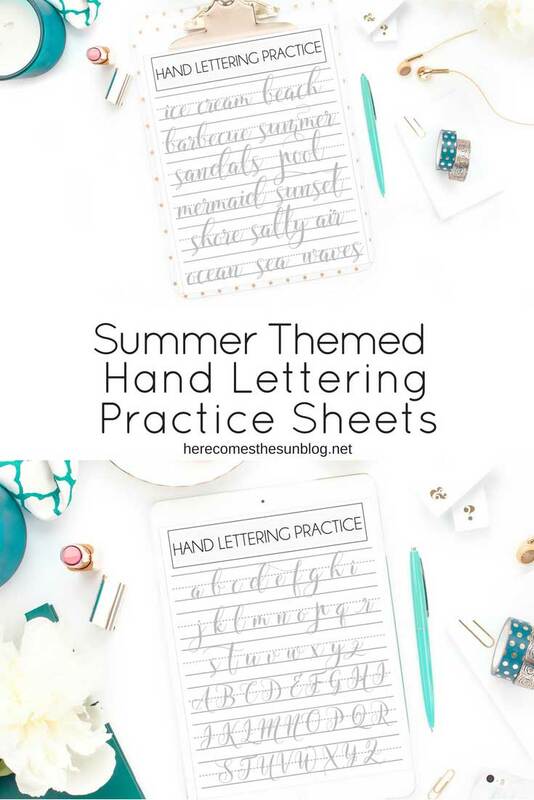 But today I’ve got some summer themed hand lettering practice sheets for you because I’m a summer girl at heart and we are approaching my favorite season of the year. I created this sheet using the Amigirl Script font from Creative Market. This is a very different font than I have used in the past for my lettering practice sheets. These sheets are more like calligraphy practice sheets. I love the thin wispy style of Amigirl Script and I have also added a few flourishes that the font comes with. I’m a big fan of flourishes and I think they really complete the look of a project. In addition to summer themed words, I’ve also added a practice sheet with the uppercase and lowercase alphabet. Download the practice sheets and print them out on your home computer.You can access them in the resource library, below. I recommend using a Tombow Fudenosuke pen with these practice sheets. You can also use the hard tip of the Tombow Dual Tip Brush Pens. Or Download and open the files on an iPad pro. Then, use a calligraphy brush in the Procreate app to trace over the letters. Check out this post for how to hand letter on the iPad Pro. 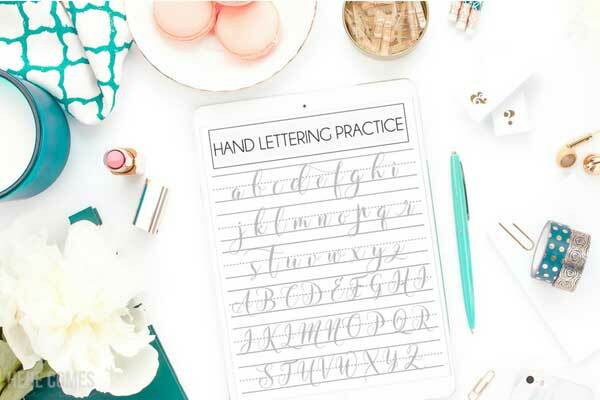 If you are new to hand lettering and want some tips and tricks, check out this post for some hand lettering tips. You will receive both practice sheets in this download. As always, these sheets are for personal use only. You may not sell or redistribute them.